The job of loading and unloading your Tacoma's truck bed can be much safer, easier, and faster. Forget about reaching up and crawling around! No more pains in your lower back and straining your muscles. BedSlide products will transform your truck bed into a big sliding drawer. These are reliable and efficient cargo slide systems that can handle heavy loads. Constructed from lightweight yet strong, weather resistant material, these bed slides are robust enough to carry whatever it is that you need to take with you while standing up to the elements. They are easy to install and extend by 70-80%, depending on the type. 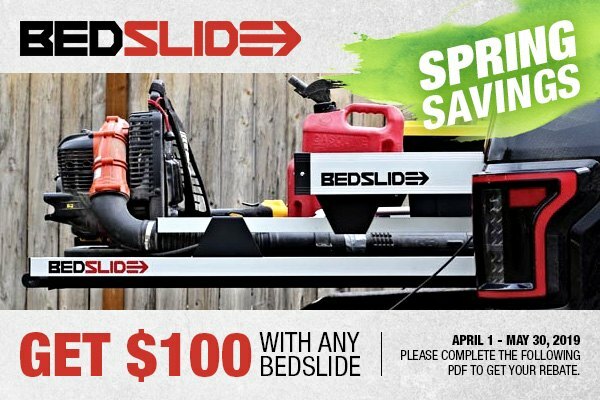 Today you have a great chance to get $100 back with the purchase of any BEDSLIDE product. This offer expires on May 30, 2019. Please complete the following PDF to get your money back.